The first seven minutes of Edgar Wright’s (Hot Fuzz, Scott Pilgrim vs the World) Baby Driver are a homage to a getaway heist in style echoing elements of getaway chases on celluloid down the decades while providing its own gnarly twists and corkscrews. 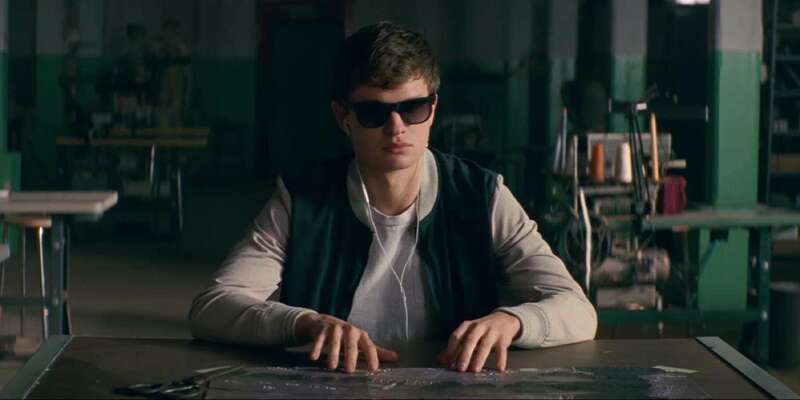 As his three partners-in-crime rob the bank, Ansel Elgort (Divergent), as the titular Baby, presses play and puts pedal to the metal as Jon Spencer Blues Explosion’s “Bellbottoms” drowns out his tinnitus and provides a rousing, face melting soundtrack to the gang’s escape. This is romanticized crime, make no mistake, with all the apt elements playing out, just switched and baited and tweaked, and the denouement barreling down like a car crash. Kevin Spacey plays a stoic and casually cruel criminal mastermind vet named Doc whom Baby is indebted to. There’s a Bonnie and Clyde-template in the charming Jon Hamm and curvy eye candy Eiza González as the ostentatiously caricature Buddy and Darling—a crime couple glued by hedonism. There’s the crazy trigger-happy mofo in the person of a, take your pick, white guy (Jon Bernthal as the bullying Griff) and a black guy (Jamie Foxx as the bullying and murderous Bats). There’s even a cameo by rock stars Flea and Big Boi. There’s a codified set of genre rules to be followed here before being broken, see? And then there’s Elgort coming into his own Hollywood princedom as bee ay bee huway…Baby, the movie’s straight man who parlays his auditory handicap into vehicular control genius, even if he is reluctant in the employment of his mad skillz in a criminal enterprise. But, oh, is a he a genius at it and he’s got nothing better to live for. Until he meets the charming music aficionado Debora (Lily James in an apple pie iteration of Cinderella and Downton Abbey’s Cousin Rose). What separates Wright from your garden variety director, even if he essentially tackles buddy comedies like in his Three Flavours Cornetto trilogy, is that his visual vocabulary is wide and he makes inventive use of it even in ordinary transitions. Remember Simon Pegg’s transfer scene from the city to the country in Hot Fuzz? Wright employs the same interesting framing except to high speed car chases, surprise shootouts, and the quiet of a developing romance in that most American of settings: the neighborhood coin-op laundromat. Despite minor plot problems (how Baby became indebted to Doc is hazy and implausible, at best) and ocassional style over substance choices (I can’t take Bats’s gangsta style choices seriously or I’ll guffaw), Baby Driver is a shot of filmmaking adrenaline that knows its course but isn’t too clever to throw surprises our way. The threading together of the thrills also owes a considerable debt to the killer soundtrack. Really, it’s a character too since it actually exerts pressure on the rest of the players, interrupts and has its say through Baby, and even gets bullied back. It’s ever present as Baby and Debora try to exit the criminal life and chase their own dreams of riding to the sun with tunes blasting. But will they? By the by "Baby Driver" is a song by Simon & Garfunkel and its lyrics read “They call me baby driver / And once upon a pair of wheels / I hit the road and I'm gone.” Get yourself gone to the theater and enjoy this masterful caper. Here are 12 of our favorite cars employed in criminal endeavors, whether as getaways or weapons. It’s an English-language action movie but employing French aesthetics. Writer Luc Besson eschews all the fat and gives Martin (played like a cross between fawning chauffeur and pro thug by Jason Statham) all the chances to display both his driving and his martial prowess. 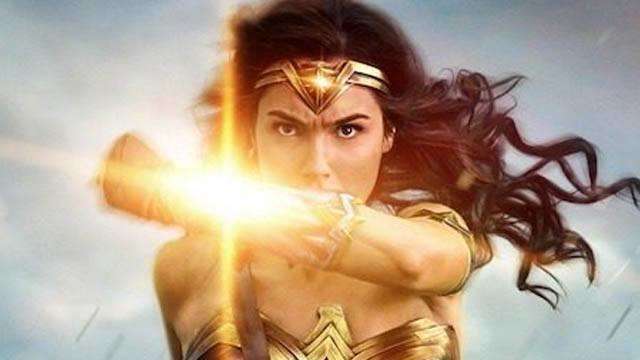 So successful it spawned three more sequels, Besson’s production company EuropaCorp was afterwards able to fund its other movies like Lucy and the Taken films. I chose the original because it also stars the sultry as heck Shu Qi. Double crosses, a heist in Venice, and exciting getaways in tiny, souped up cars in tight European roads. What it lacks in imagination it makes up for in panache as Edward Norton, playing villain Steve Frazelli, steals the show here, but most of all I remember the trivia about the cars being too small to fit the long-legged Charlize Theron so they had to modify the seats. Baby Driver director Edgar Wright picked stunt coordinator Darrin Prescott for his work on this movie, where he was one of the stunt drivers. “When I met [Prescott],” said Wright, “the fact he had been part of that sequence, which I think is the best set piece of that whole franchise, I said: ‘If you worked on that, you’re in.’" I mean have you seen the nail-biting car chase in Moscow against Karl Urban? It’s a no brainer that one of the F&F movies would be here. Justin Lin knows his cars and action chops but Fast Five is getting picked because, while the previous ones adhered to genre tropes closely, this one became something out of a Bond movie set in Brazil and international locales. Would Dom and the characters translate to this fantastique heist setting? They do. And, boy, do they get the pomp and grit right. LA taxi driver (Jamie Foxx) gets ensnared by his hit-man passenger (Tom Cruise) into being his exclusive chauffeur for a night of—surprise—executions. Damn, but Michael Mann sure knows how to build this thriller through restraint and rising tension. The crash scene as apotheosis was mind-blowing. Big, big improvement over the surreal 1974 version. Jerry Bruckheimer produces this one with over the top casting, Angelina Jolie and Nicolas Cage doing their over the top thespian best, and absurdly gorgeous car scenes and record-breaking thefts that would make a GTA player weep. A high water mark for the car chase in film. Every reference to a Challenger is a homage to this one. Stunt driver by day, getaway driver by night. 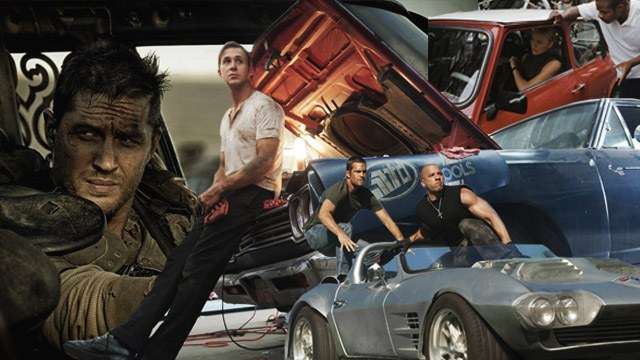 Ryan Gosling (as nameless Driver) plays this one close to full retard but not quite. With much graphic violence (and inferences thereof, too) done in a very Euro style by Danish director Nicolas Winding Refn, it also has a very cool soundtrack. Robert De Niro as a stoic mercenary whose code of the ordinary decent criminal means he’ll always finish the job gives one of his best, yet one of his most underrated acting pieces. The heist itself isn’t anything to write home about but by God the car chase is damn nucking futs. My problem with the breadth of the F&F franchise is that most of the movies don’t have any. All the chest-thumping Murican machismo saves the day gets tiring pretty damn, uh, fast. This one is a breakthrough because they stepped out of their comfort zone and put the spotlight on one of the lesser known, but very fascinating aspects of car culture: drifting. Also because it adheres closely to the Campbellian monomyth in that Sean Boswell (Lucas Black) is a reluctant anti-hero who tames his obnoxious, rebelious Western ways by being sent to a faraway alien land and sets out to study the techniques of the drift, thereby gaining all the things he didn’t have in the US: honor, friends, mad skills, a beautiful girl, and prestige. The scene with the Toyotas drifting down the mountain roads is just exquisite. If you haven’t seen Steve McQueen in the car chase scene through the streets of San Francisco then you really have to behold for yourself why Bullitt was selected by the US National Film Registry to be in the Library of Congress for being "culturally, historically, or aesthetically significant." Nominally an exploitation homage movie crossed with a serial killer movie done in unique Tarantino style, the climax that is 20 minutes of stunt goddess Zoe Bell on the hood of a 1970 Dodge Challenger (hello, Vanishing Point) playing "Ship's Mast" is pure eye bleed action.